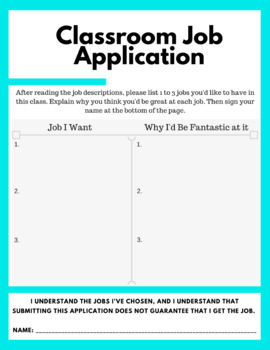 Students can apply for jobs in your classroom to help things flow smoother, to teach them responsibility, and create a sense of purpose. For more ideas, visit me at www.educatingtweensandteens.com or contact me at educatingtweensandteens@gmail.com. Note: Blue borders will not show up unless you print in color.